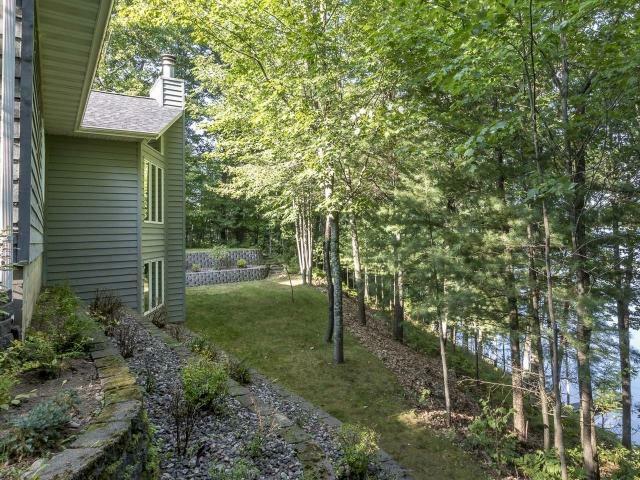 Blue Lake beauty, now for sale by the original owners. 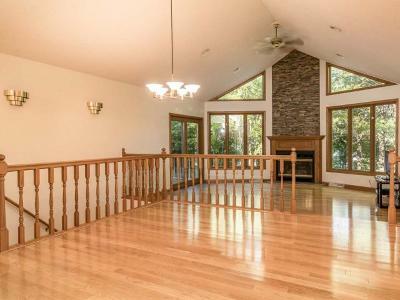 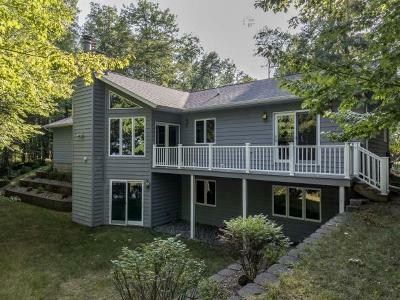 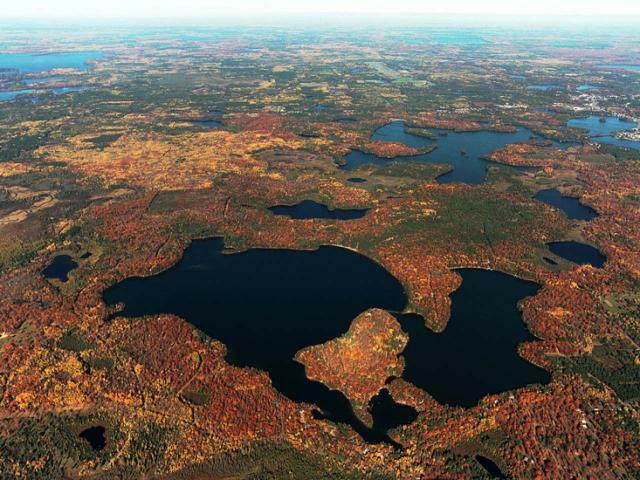 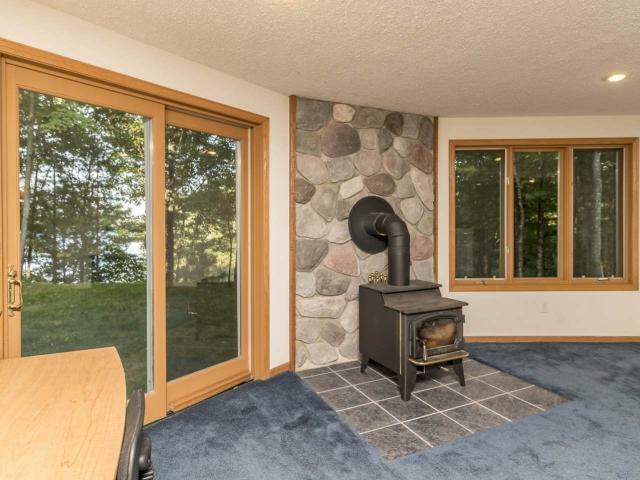 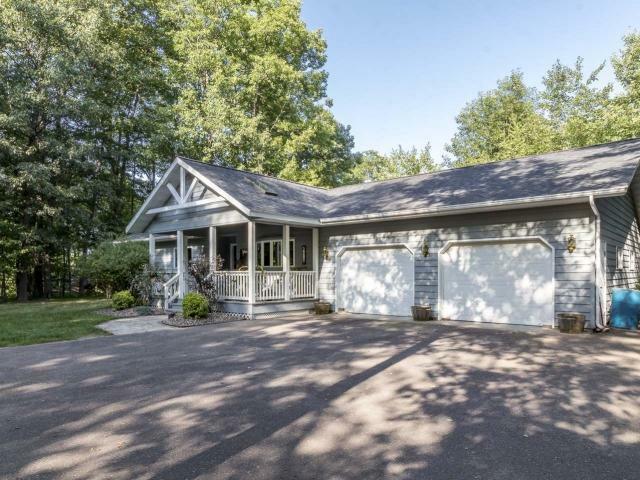 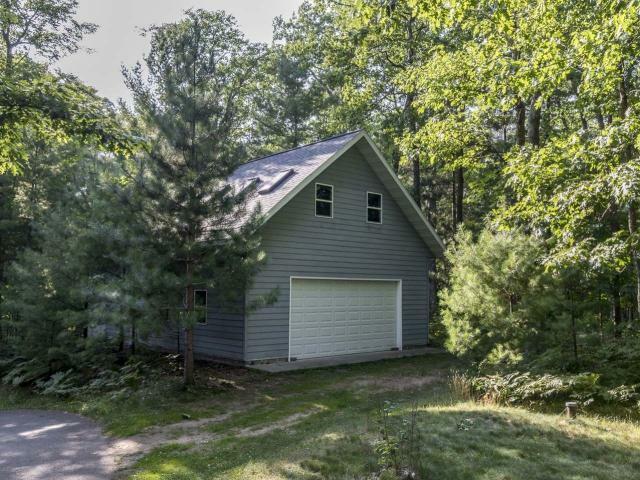 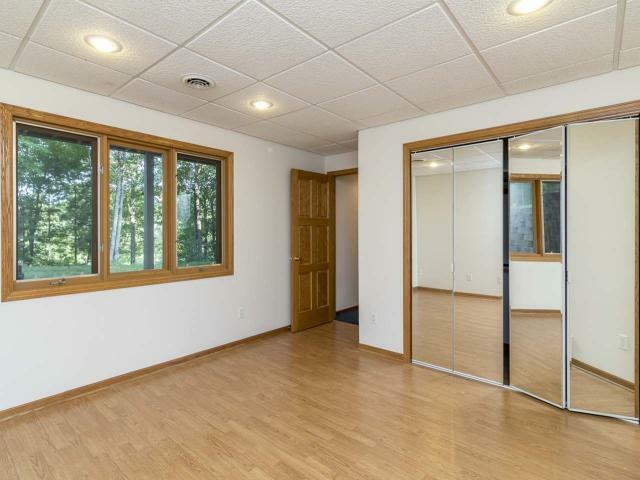 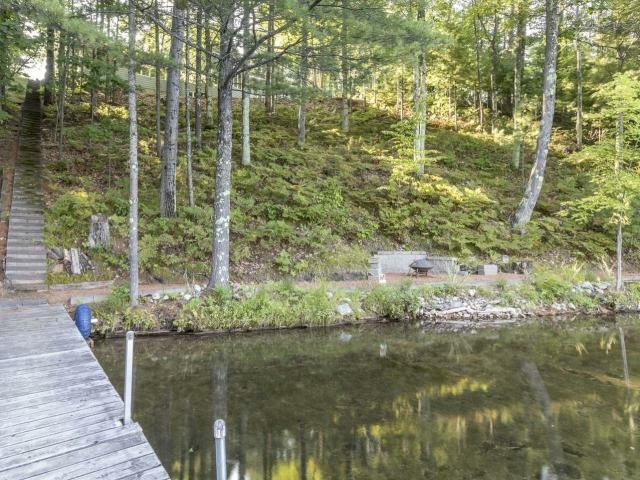 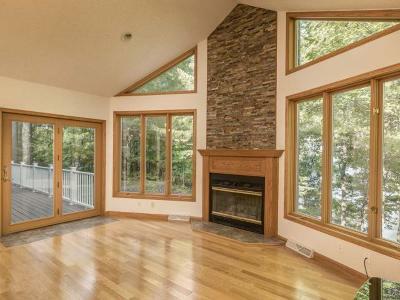 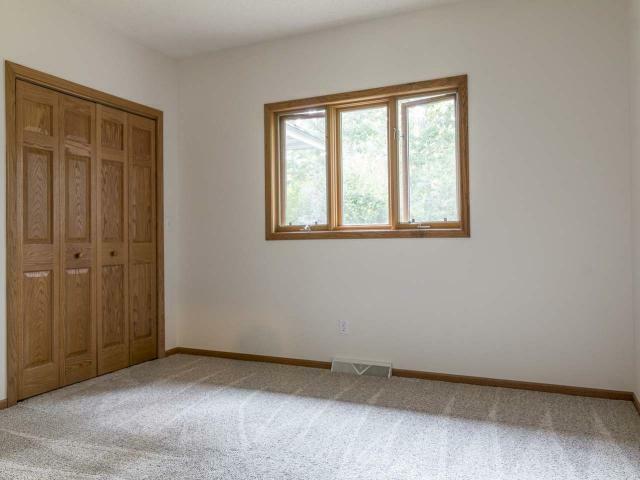 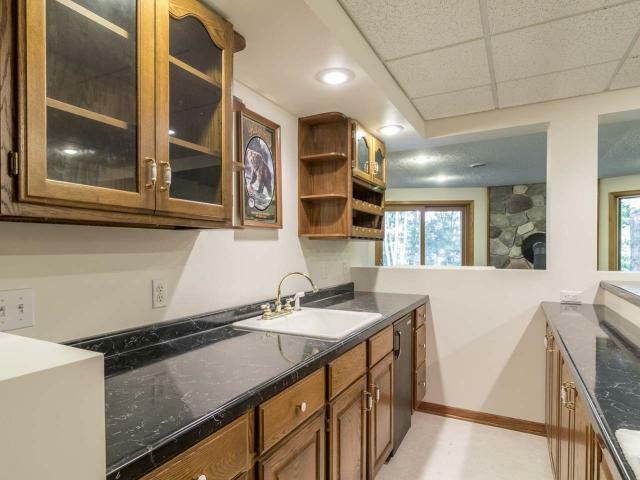 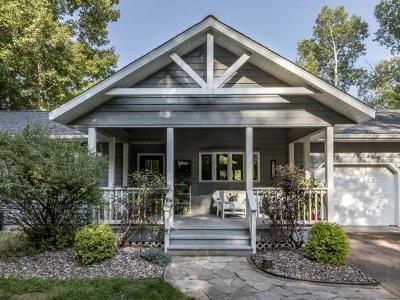 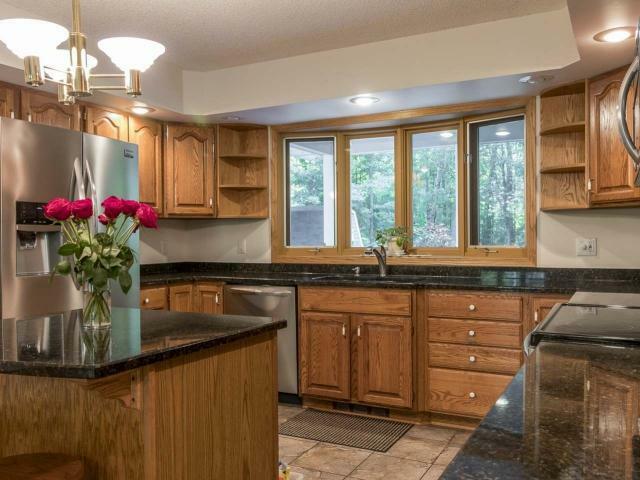 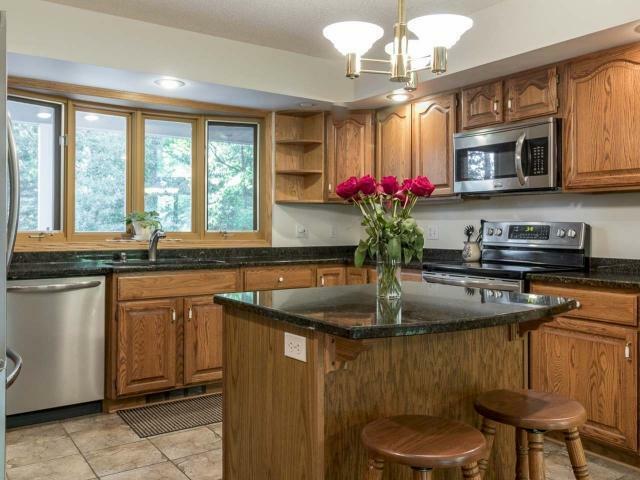 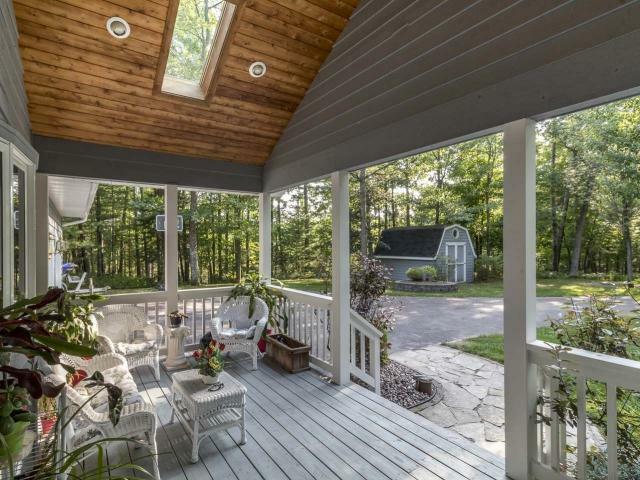 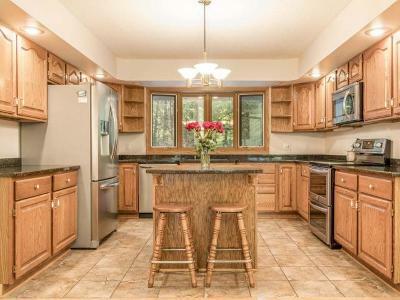 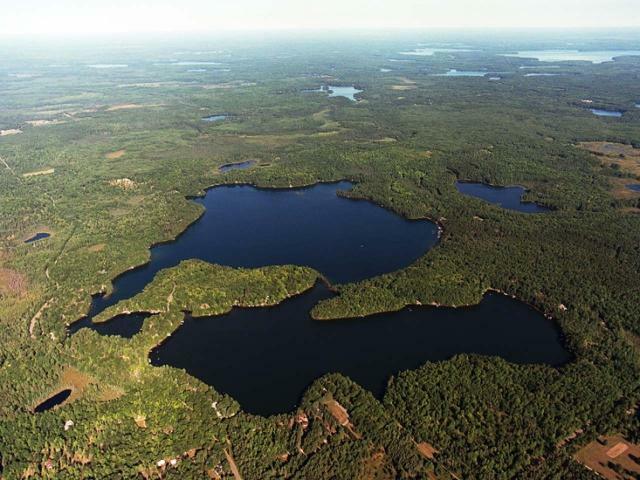 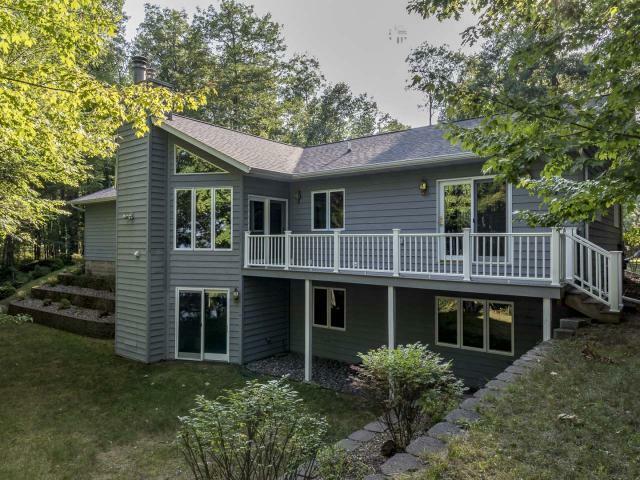 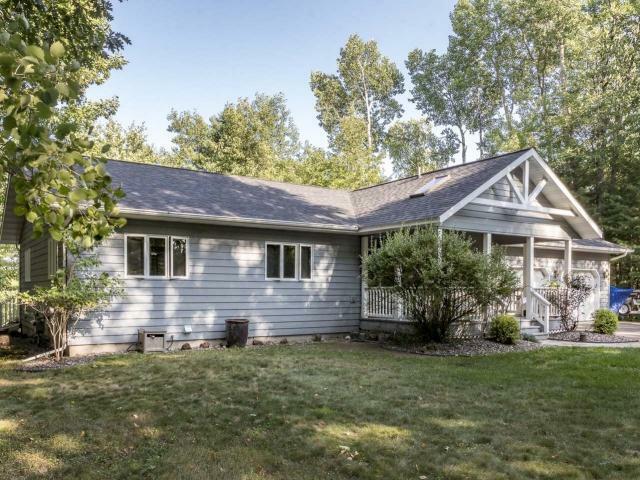 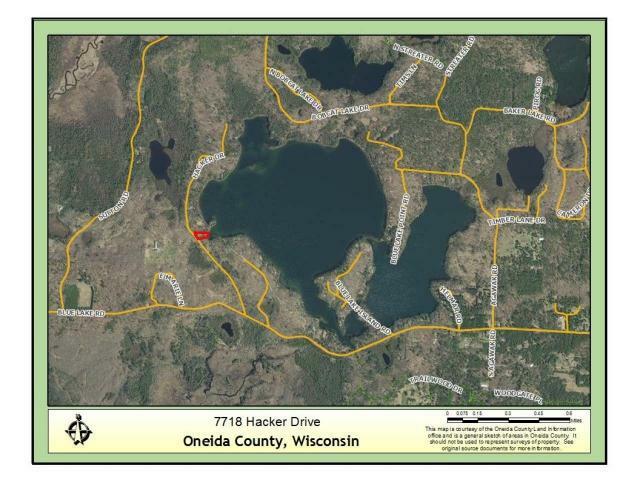 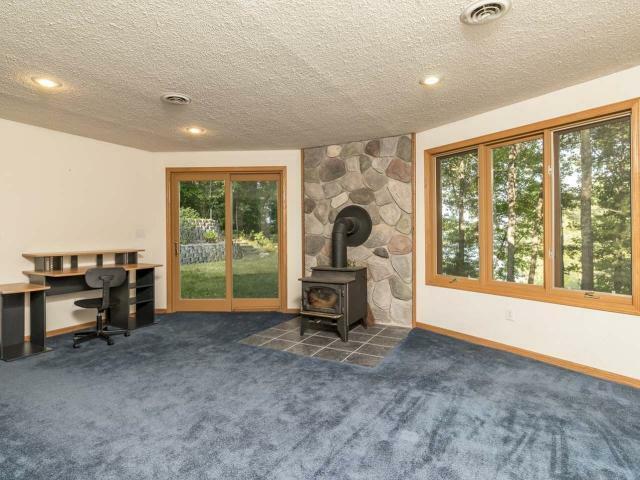 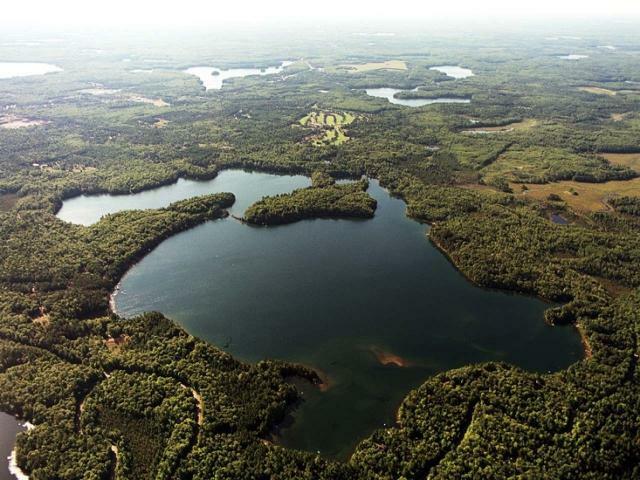 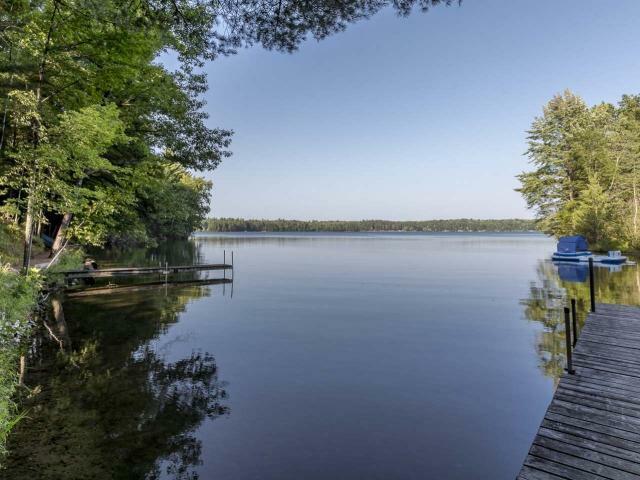 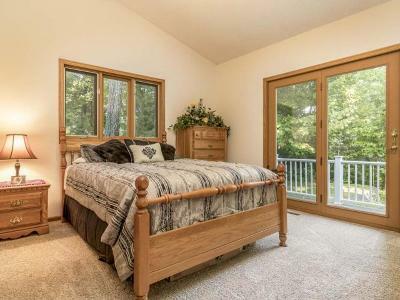 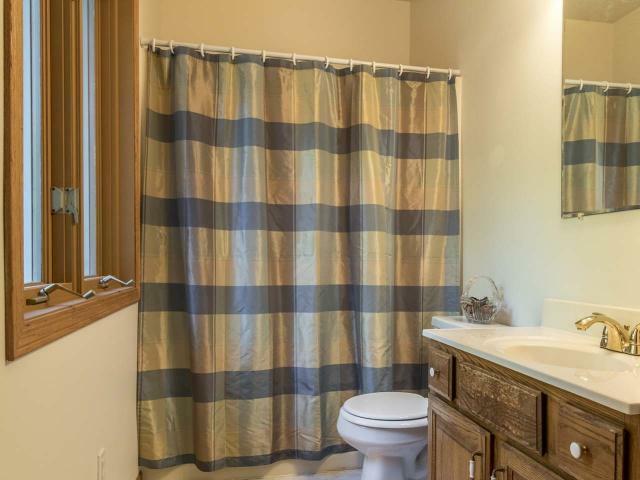 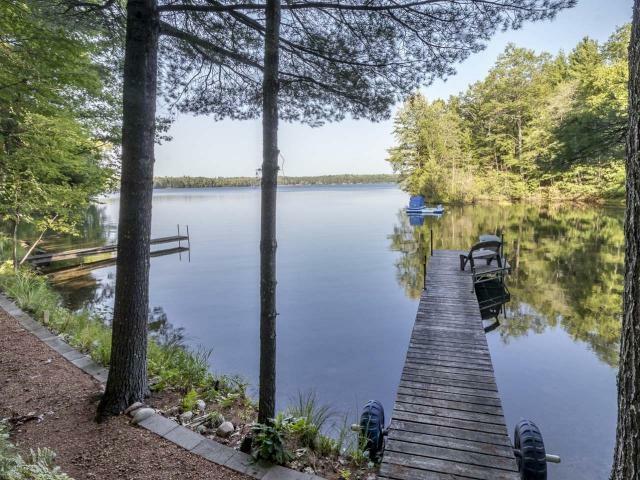 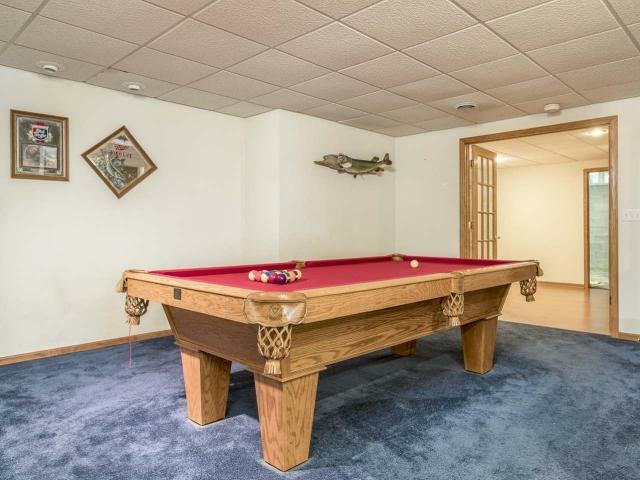 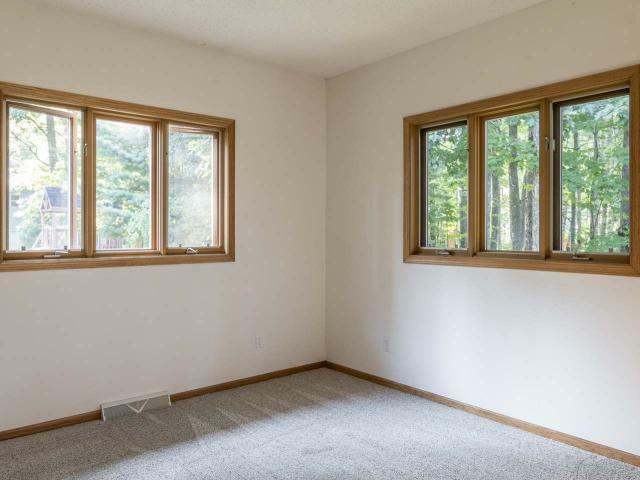 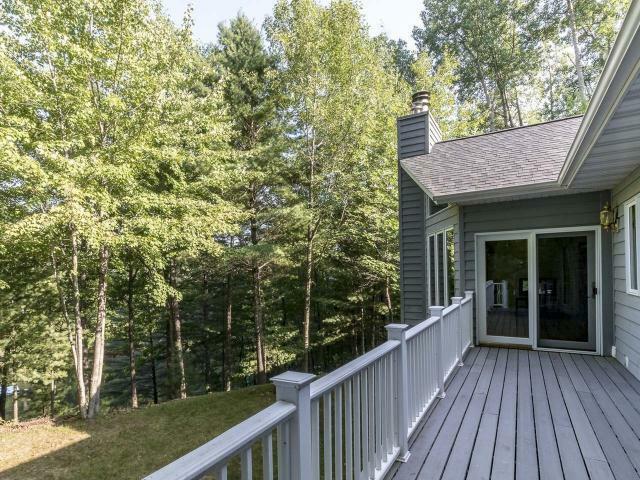 Sought-after location in Minocqua on the west shoreline on the large side of Blue Lake. 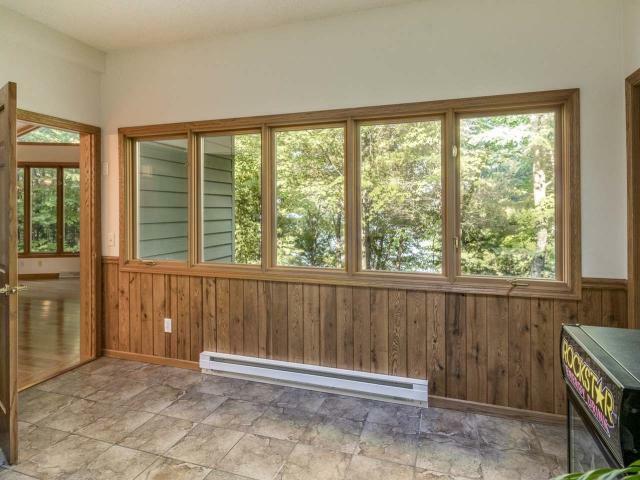 Quality constructed frame/stick home in 1993 has been well-maintained & updated over the years: Furnace (2017), sunroom (2014), roof (2015), kitchen appliances & counters (2016), composite lakeside deck (2016). 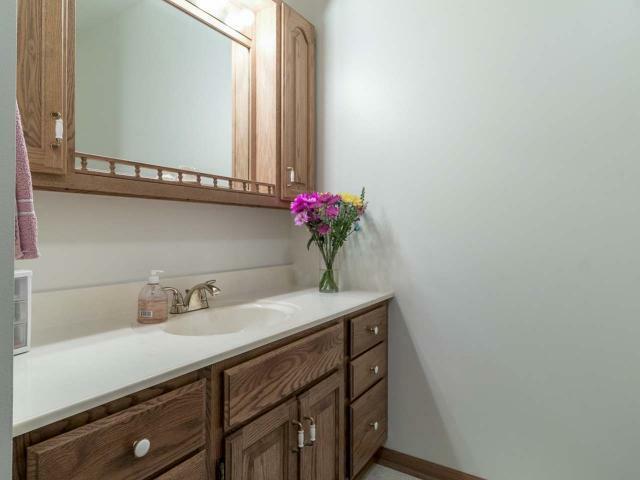 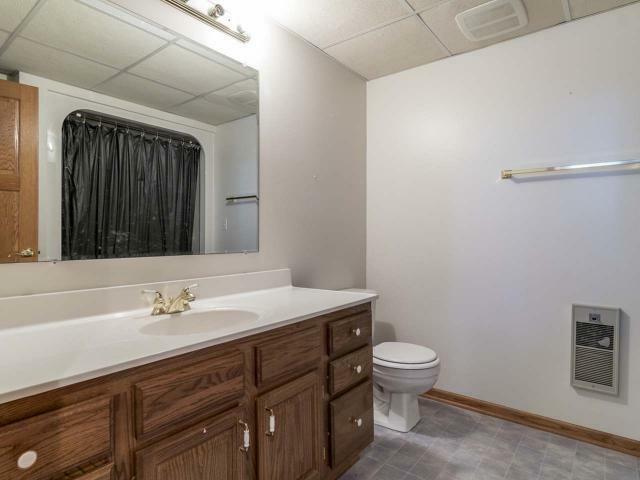 Tastefully designed floor plan features main floor living, 4 bdrms, 3 baths and a walkout lower level. 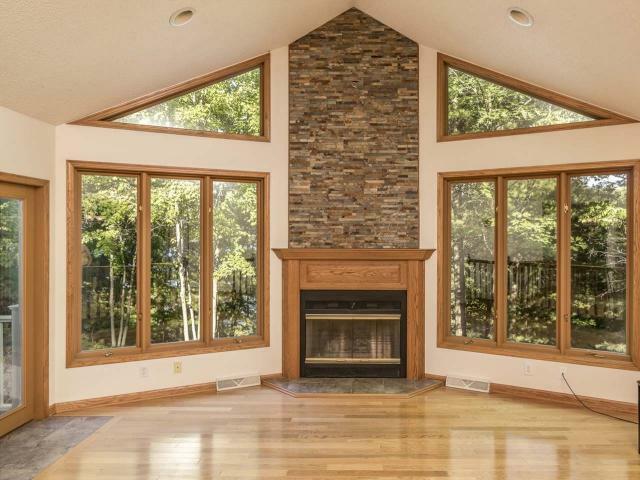 Updated kitchen opens up to the dining room w/ oak floors & the great room, which boasts a vaulted ceiling and wood-burning fireplace. 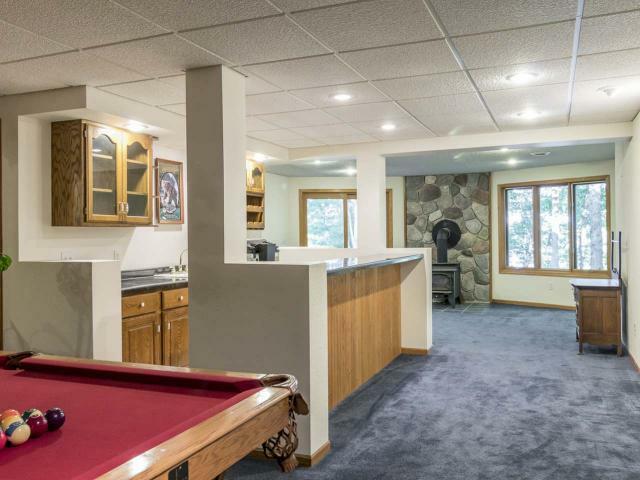 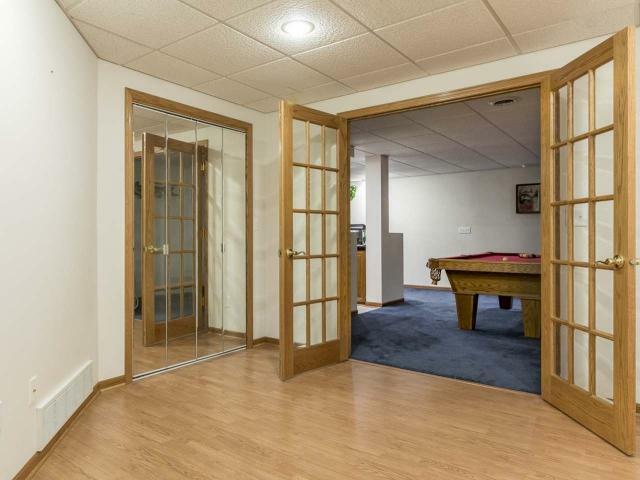 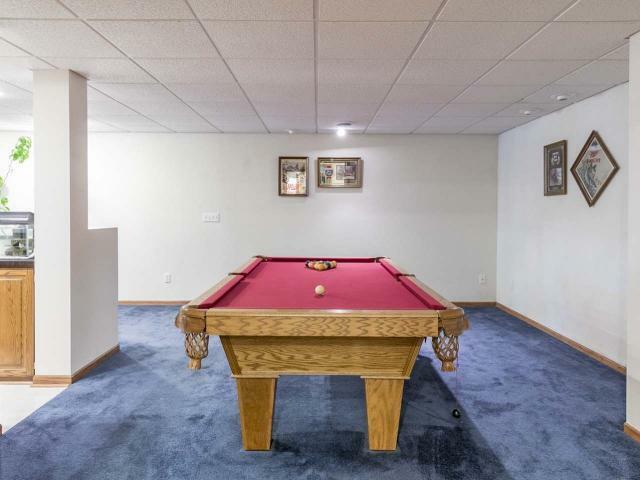 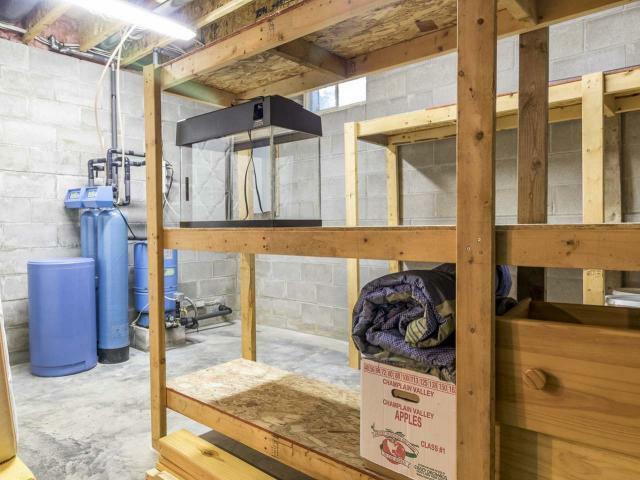 Fully finished lower level offers a family room, wet bar, billiards room, office & add&apos;l bdrm/bathroom ensuite. 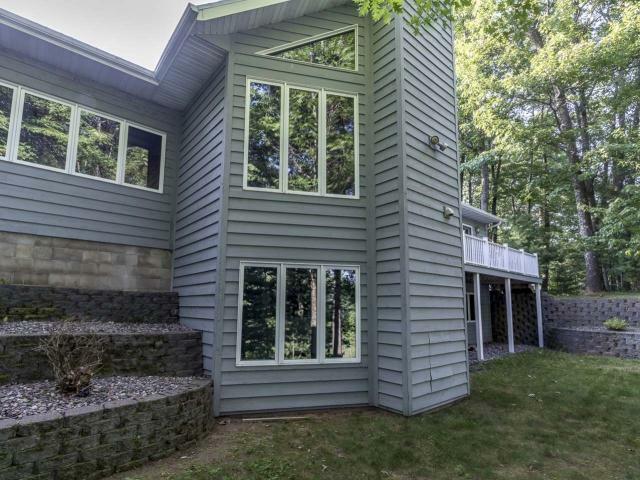 Elevated eastern views w/ 120&apos; sand shoreline. 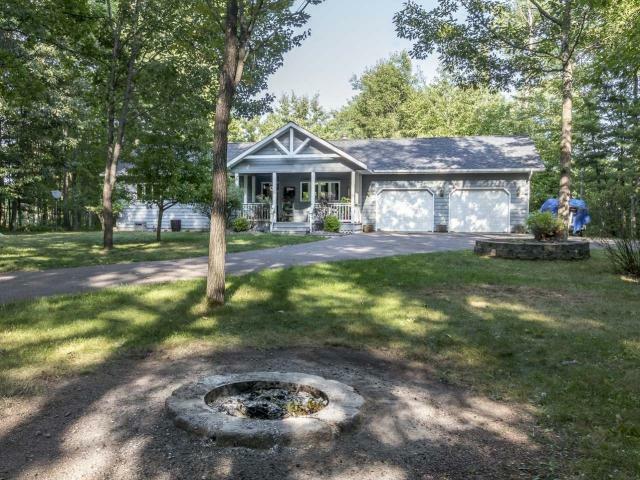 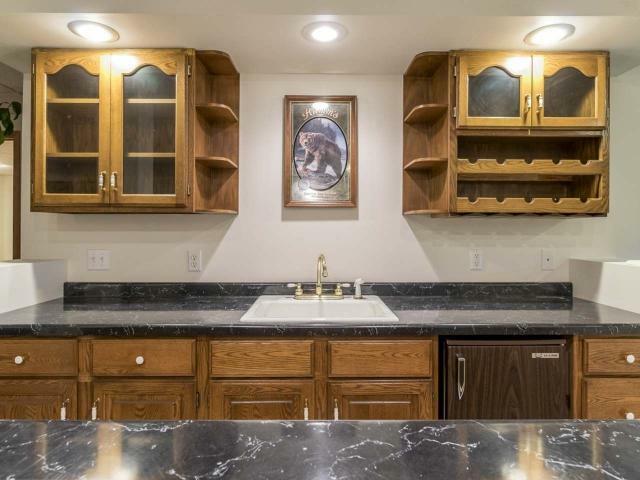 Add&apos;l attributes: Landscaped grounds, blacktopped driveway, attached garage plus 26x44 detached garage w/ loft & workshop area, tool shed, multiple docks, Charter/Spectrum Cable, Natural Gas. 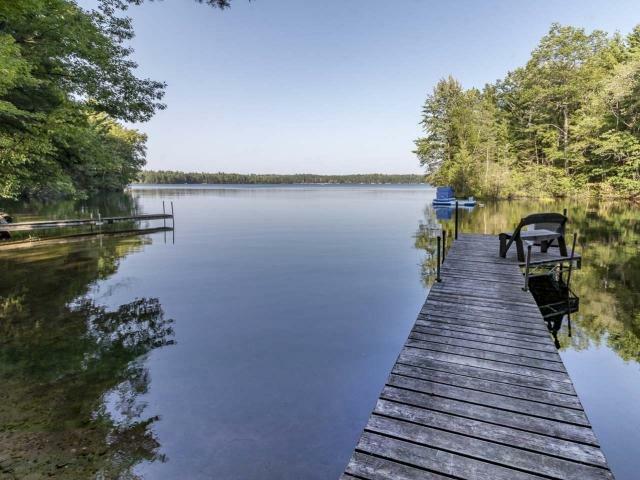 Beautiful home, beautiful setting, Beautiful Blue Lake.